You can listen to the programmes on 1001 tracklist. Supported by Hardwell, Morgan Page, Gareth Emery, MAKJ. Supported by Dimitri Vegas & Like Mike, Yves V, Tom Swoon. ■ENGMNT feat. Danyka Nadeau – Guilty (2018 / Exclusive for Japanese short film ‘Bullying and Behavior’) which is awarded many prizes including VOTD and Awwwards. (2018-2019 / Vertex Asia) written and produced 3 songs for Thai Pop act, Jan Chan. we’re proud to release another huge collab by Hotlife, Tomo Hirata and Derek Hake, all together got some tracks on our Playbox imprint already, with impressive charting results on Beatport! This time they all join forces featuring outstanding vocals by Anna Yvette! A really beautiful progressive house tune, with a magical break and uplifting melodies to please your crowd! It reached No.24 in beatport’s Progressive House chart. Supported by Dash Berlin,Yves V,Quentin Mosimann,Danny Avila,Swanky Tunes,Lucky Date,Justin Prime,Stafford Brothers,Manse,Futuristic Polar Bears,Mell Tierra,Modern Machines,Carita La Nina,Klauss & Turino and many more!!! It reached No.14 in beatport’s Progressive House chart. After the success of the Original Mix of “Taiko”, Tomo Hirata’s giving it a second life with two amazing remixes. 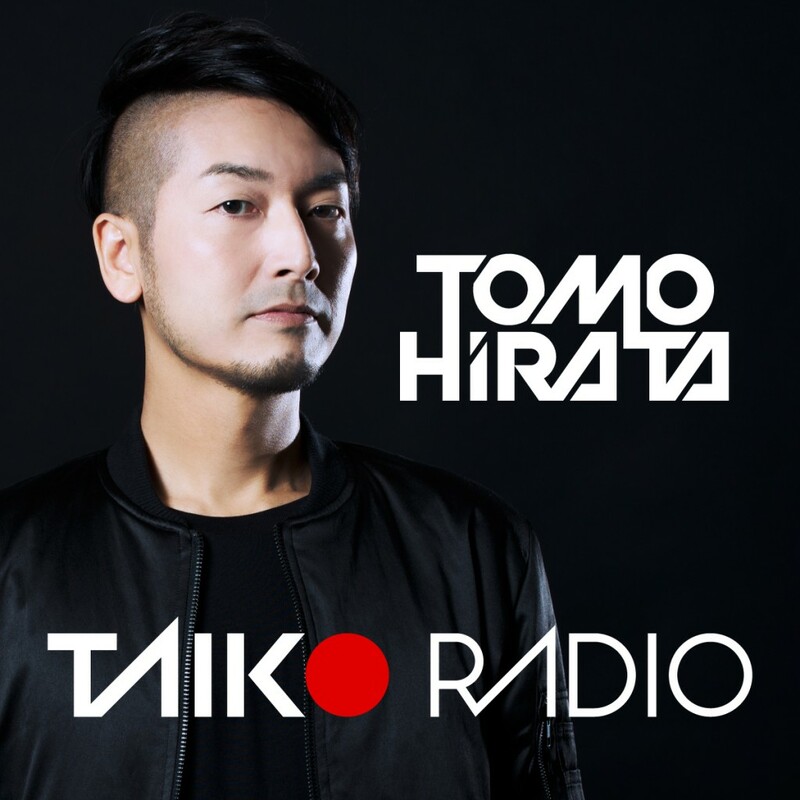 Tomo Hirata is a pioneer of the Japanese Electronic Dance scene where his tracks are well known to reach the Beatport Electro House Charts. This EP includes an electro remix from great Japanese DJ Shinichi Osawa and a beautiful orchestral remix from Otto. Sidney Samson : I’m gonna put your song in my next radio show for sure! Jetfire : cool track ! Plastik Funk : yeah! Nice tune and perfect for the festivals!! destruction . Definite support in my ‘Love & Destruction’ podcast! Merzo : Really love that groove ! Flash Brothers : Good rocking tune ! and more than 170DJs in the world. It reached No.27 in beatport’s Electro House chart. Annual compilation has reached No.1 in mixcloud’s EDM,Electro House & Big Room charts. Tomo Hirata is the true pioneer of Japnese electronic dance scene.He debuted as TOMOAKI from HOOJ CHOONS,UK in 1990 and brought UK-style club scene over to Japan.Since then,he has been working hard to spread the love of dance music. 2014’s ‘Taiko’ from French DJ Center Records climed up to No.27 in beatport’s ELECTRO HOUSE chart. 2015’s ‘One Last Time’ and ‘Got You’ made together with Hotlife, Derek Hake were picked up by twoloud’s Playbox label and reached No.14 & 24 in PROGRESSIVE HOUSE chart. His tracks are supported by many top DJs including Dash Berlin, Don Diablo, Yves V, VINAI, Danny Avila, Swanky Tunes, Quentin Mosimann, twoloud, Lucky Date, Manse, Sidney Samson, Tritonal, Mell Tierra, Futuristic Polar Bears, Justin Prime, Klauss & Turino, Stafford Brothers and many more. Probably he is one of the most active Japanese dance producers internationally. Furthermore he hosts ‘Taiko Radio’ on Futuregroove FM. In 2017, he started new project ‘ENGMNT’ together with Yavor Topchiev to explore futuristic pop field. Its first single ‘Never Gonna Miss It ft. Danyka Nadeau’ was released on Hardwell’s Revealed Recordings on March 10 and is supported by Gareth Emery and Morgan Page. The follow-up is ‘Everyday ft. Grand Khai’ out on popular Soundcloud channel ‘Trap Cords’ on March 28. It’s supported by Dimitri Vegas & Like Mike and Tom Swoon. Copyright © forever TOMO HIRATA OFFICIAL WEBSITE All Rights Reserved.